It has been a packed and fun weekend, I’m a little sad to see it end. It’s also been a little chilly and windy as we shift to fall weather, Miko has been happy to snuggle in his blankets on lazy mornings. 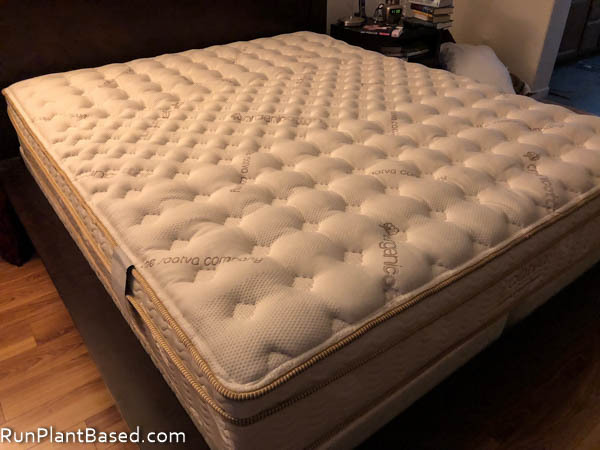 After months of research and getting burned out with too many options, we finally got a new mattress to replace our nearly 12-year-old one and decided on the Saatva 11.5″ Luxury Firm mattress after a vegan friend purchased a similar mattress and recommended it. The price was right for white glove delivery, it’s vegan friendly, and the Luxury Firm is perfect for side-sleeping me and back-sleeping hubby. It was a little adjustment to the firmness on the first night, but has been great the last 4 nights. A lot different from the old mattress in a good way, I had no clue it was getting so mushy and lumpy! I have been enjoying the fall weather and turning leaves, so wonderful after dry summer heat. And I got a new case for my phone – a Pela Case made in Canada with flax seeds. Plastic free, biodegradable, and vegan friendly. I like all the inspirational message options for them too. And I got Air Pods as an anniversary gift from hubby and love them! 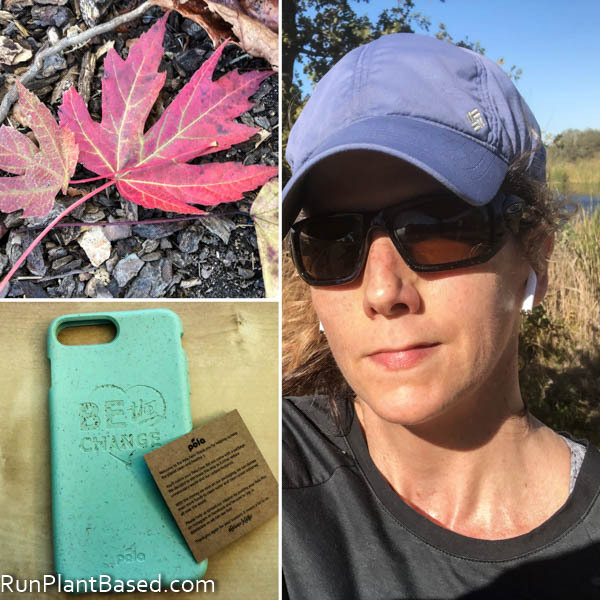 I have tried many different types of Bluetooth sports earphones and always end up going back to the wired Apple ear buds because I have a hard time getting them to fit in my ears and stay. Plus many of them seem to get uncomfortable after awhile with pressure and pinching. I guess I have unique ears. Anyway, the Air Pods fit nicely and stay in my ears, but feel like nothing is there and sound great. I also really like that they do not completely block out outside sounds like a lot of sport headphones seemed to do for me, I can still hear what’s going on around me for running outside. 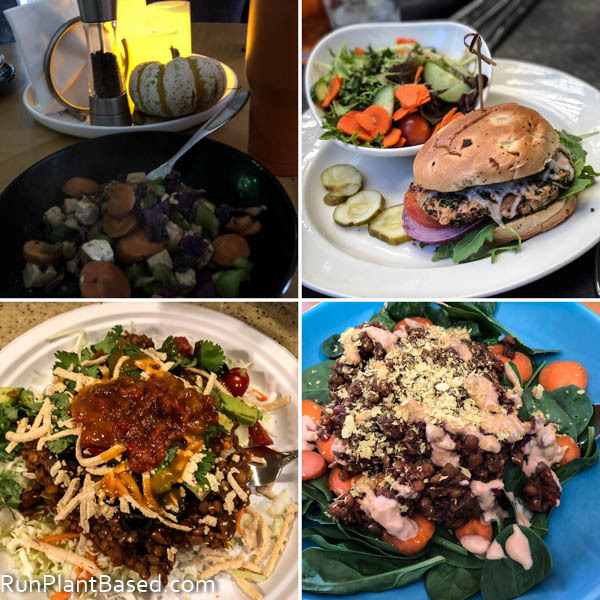 There have been a lot of great eats this week, so many that I need to clean things up a bit next week! Of course simple, oil free stir fries. But also the Gardein vegan burger with quinoa, kale, and vegan cheese from The Yard House while having lunch with my dad. And we had a casual family get together last night at my sister’s house with a taco bar. I brought lentil taco filling I made by simmering lentils in canned tomatoes and veggie broth and added chopped celery, cumin, chili powder, smoked paprika, oregano, and cilantro to taste and used them to make a taco salad with Daiya shreds and layers of veggies. And I used the leftovers to make another spinach taco salad for lunch today. 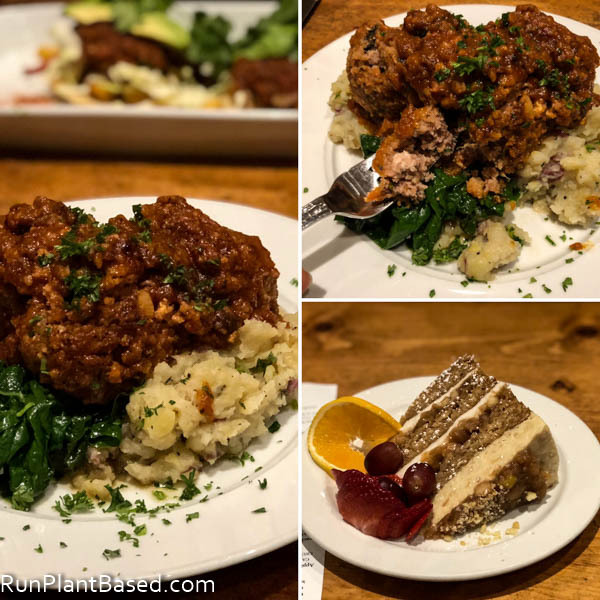 Oh, and the Sacramento Vegan Chef Challenge is going on this month! 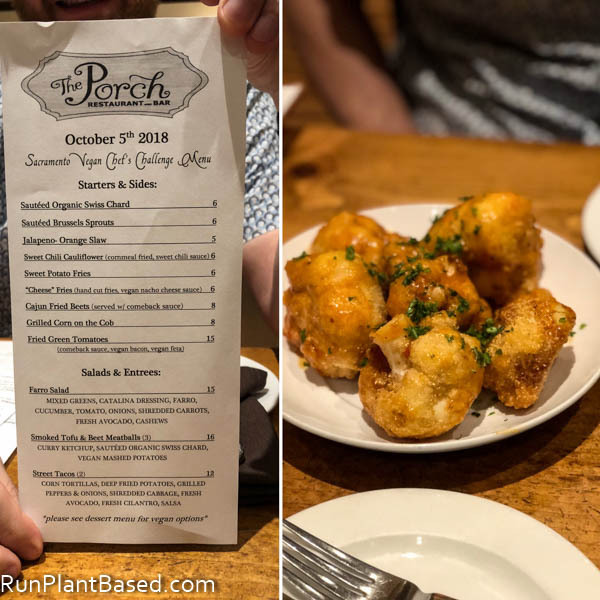 We stepped out to The Porch Friday for their menu which did not disappoint! We started with the Sweet Chili Cauliflower. They were crunchy, kicky, sweet, and spicy – delicious. I got the smoked tofu & beet meatballs for my main dish and hubby got the street tacos. The “meat” balls were delicious and very filling. A little messy, but the flavors, color from the beets, and hearty texture were delicious and much better than I expected. Loved the smokey and tangy blend. The dessert was an apple pie cake and it was insanely good! Basically a sweet apple pie cake with a decadent layer of vegan cheesecake and a fresh apple cinnamon flavor that singed fall. It was a splurge for sure, but worth it. Taco Bell vegan options ranked. The best vegan sources of calcium. Vegan documentary Dominion is free to stream. Low fat vegan foods to add to your diet. The best vegan lubes and I can confirm the first one is pretty awesome and smells like a vanilla treat. NBA Star JaVale McKee performs on a vegan diet. Putting vegan fast food to the test. Will.i.am has a little vegan fun. I want to get my hands on this soon. Healthy vegan diets linked to healthy aging. I really like your new mattress! Finding a good one is such an important thing in life. Sleep is vital, yes please! I’ll have to check that one out. Thanks and so far so good! 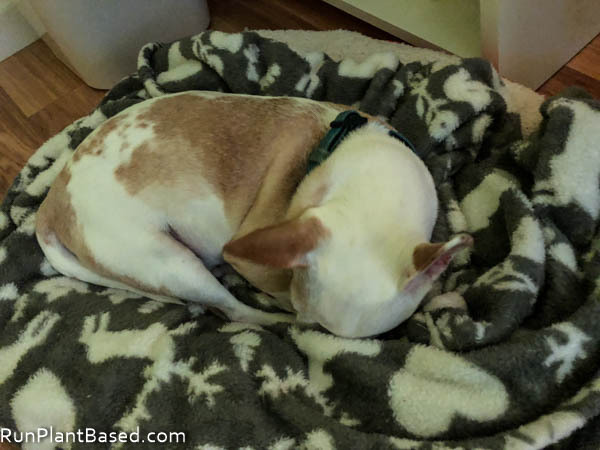 Agreed, now if I can just get the dogs to sleep soundly through the night! Smoked tofu and beet balls? Oh man, I’ve gotta get out there. I love anything smoked, especially beets, so I feel like this might have some of the same flavor magic going on through the combination. Yes, it was a great combination and so filling. Looking forward to trying more vegan chef creations!